Warning: This product is not to be worn during sparring or partner training. Strengthen your arms and hands with these 2-lb. 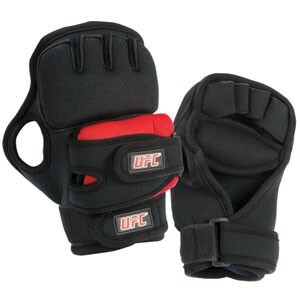 weighted gloves constructed with soft neoprene to enhance the comfort factor. Finger and thumb loops allow full dexterity, while hook and loop wrist strap provides a secure fit.